Each summer, 701 Center for Contemporary Art offers Youth Summer Art Workshops. Children and teens ages 6 to 17 have the opportunity to get hands-on experience in the arts, creating artwork under the guidance of local artists and art instructors. Students are able to work in several art making activities! Classes are held at 701 CCA’s Artist-in-Residence studio loft, located on the second floor of the historic 701 Whaley building in Columbia. The building was once the community center for mill workers and residents of the nearby Olympia mill village. Now Columbia’s budding artists can join the creative community at 701 CCA. All skill levels are welcome to every workshop! Materials are included with each workshop and make sure to bring snacks or lunch for break time each day. In this workshop, each student will create unique designs, choose beautiful tesserae and produce their own mosaic piece to take home! 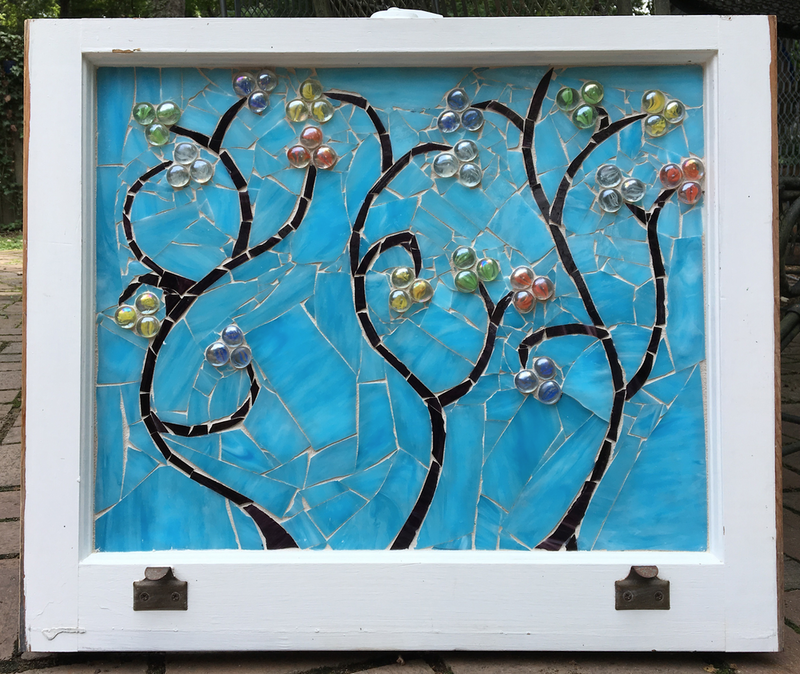 Students will learn the process for making a successful mosaic using glass, tile and various found objects. 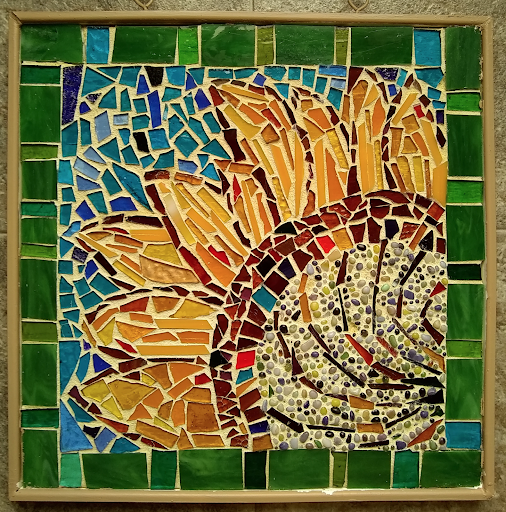 The class will explore the history and contemporary process of mosaics and at the end of the session, each student will produce one or two final mosaic masterpieces. Instructor: Kevin Pettit received his BFA from Winthrop University in 1991 and his Masters of Arts in Teaching from the USC in 2000. He currently teaches visual arts at Irmo High School and previously taught at Mid Carolina Middle School. Mr. Pettit is a National Board Certified teacher and a semi-pro musician. Description: Students will learn woodworking techniques to produce their own wooden hand-tools and create a Japanese style box to use for tool collection or as a decorative box. The class will discuss the natural properties of wood, structural principles, mathematical angles, design aesthetics and tool maintenance. After this workshop, students will be able to pursue their own woodworking projects with a set of winding sticks, a joiner’s mallet and a Japanese style tool box to take home! Instructor: Greg Alexander graduated from USC with dual degrees of music composition and political science. Mr. Alexander studied guitar building and began building instruments in Columbia in 2011, having two guitars on exhibit at the SC State Museum. He worked at Camp Pinnacle in North Carolina, where he was a counselor for 13-14 year olds and taught multiple classes daily on nature skills to groups aged 7-17. He is a full-time woodworker. In this class, students will build an electronic device that will transmit their movements to produce an interactive picture in real-time. The class will explore the creative process of mark-making through computer science and technology by using commercial accelerometers in conjunction with an open source microprocessor. Family and friends will be invited on the last day of the workshop to see the students present an interdisciplinary performance where a digital painting is produced in real-time. Instructor: MVS Chandrashekhar is an Associate Professor of Electrical Engineering at University of South Carolina. Dr. Chandrashekhar received his Bachelor of Science in electrical engineering from Worcester Polytechnic Institute and has a PhD in electrical engineering from Cornell University. Through USC’s College of Engineering and Computing, he has taught summer camps for high school students and has been hosting workshops and outreach activities for K-12 for ten years. Dr. Chandrashekhar has presented at many conferences, including TEDx in Columbia, SC. This workshop will teach the basic principles of making 3-dimensional paper art and creating the optical illusion of motion using Zoetrope animation. Students will practice their illustration skills by creating their own original characters for mechanical “pop-up” books, Zoetropes, squash books and shadow puppetry. At the end of the week, the group will produce a play featuring students’ hand-crafted shadow puppets. Instructor: Kathy Hart graduated from Winthrop College before furthering her art studies at Francis Marion University, University of South Carolina and Columbia College. Ms. Hart designed and taught hands-on art classes to homeschoolers for 5 years at the South Carolina State Museum, while also specializing in student art tours. Ms. Hart has written and directed over 30 plays and is a camp director for Salkehatchie Summer Service. Students will explore the history, motifs and techniques of Indian folk art styles such as Madhubani, which uses bright colors and intricate patterns, and Warli, which creates characters using a simple and complex line style. Creating Warli style figures is one of the easiest art forms, making it perfect for beginners. Each students will produce their own colorful paintings based on their own individual design. Instructor: Jugnu Verma received a Masters in Chemistry from Veer Kunwar Singh University in India. Ms. Verma currently teaches Folk Art at the Columbia Art Center and has worked as an Observatory Educator at the South Carolina State Museum. She has taught special school programs to 1st, 4th and 8th graders and is the Artist-in-Residence at New Providence Elementary School in Lexington. Ms. Verma was recently selected as an artist for the FOLKFabulous@theFair hosted by the South Carolina’s McKissick Museum. Your 701 CCA Family membership entitles you to Youth Summer Art Workshop discounts and other benefits. Join today!